A Popup Store made with love. While studying at the Design Academy Eindhoven we make a lot of things. We put our hearts in crafting products that make people excited and thrilled. 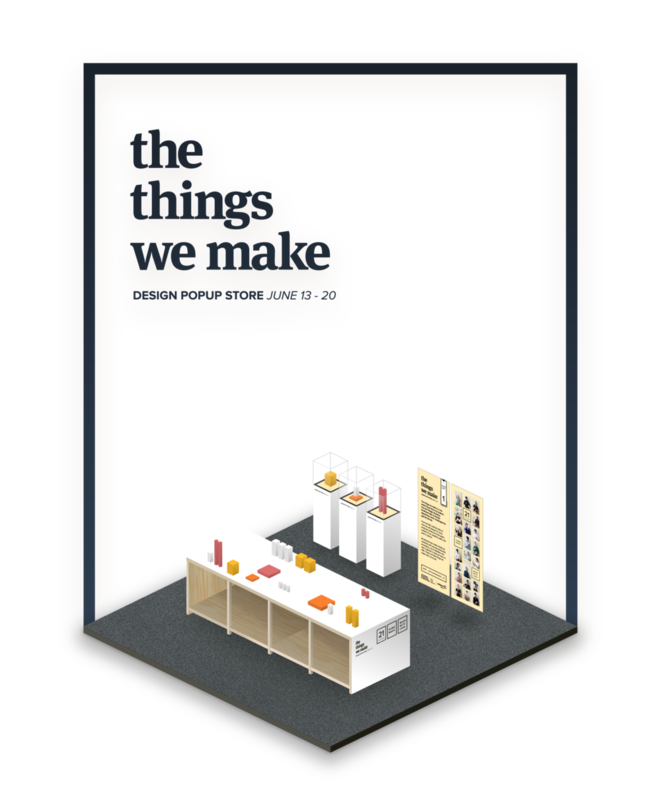 "The things we make" was an event in which we were able to present and sell our products out in the wild: Bridging the gap between designer and customer by making them come together in a Popup store. 21 students, 21 products and lot of hard work into building, organizing and promoting an event that proved to be a success. The event took place in the De Bijenkorf Eindhoven (a prestigious department store in the Netherlands) from the 13th till the 20th of June.